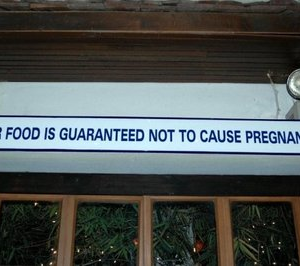 Translation errors: funny, costly, dangerous. Is it worth the risk? Home / Translation Quality Management / Translation errors: funny, costly, dangerous. Is it worth the risk? Why is it so important to hire good translators? It is an illusion to think the power of translation lies in the knowledge of a few foreign languages. If you Googled a cake recipe, it wouldn’t mean you could bake like a chef. The same is true of translation. Hire a professional even if you need to translate only a few words for a slogan. This investment will definitely pay off. Young and inexperienced translators may also think it’s enough to know how to translate words. But Google Translate knows a lot of languages; does that mean you will trust it to translate for you? I hope not because the results can be more painful than unsuccessfully jumping over a wall. This article shows that good translation matters and why professional translators are worth the time and money. What happens to people who don’t believe in this undeniable truth? In Italy, an unknown tourist took a picture of a sign: “Don’t molest the hawks. Don’t pass the enclosure.” This is a shining example of the “false friend” phenomenon. In Italian, molestere means “to bother” and in no case translates as “to molest,” which implies sexual abuse. In the 1980s, Willie Ramirez went to a hospital in Florida in a comatose state. His friends and family tried to describe his condition to doctors in Spanish since they didn’t speak any other language. A bilingual staff member tried to translate. They translated intoxicado as “intoxicated.” But intoxicado is closer to “poisoned” and doesn’t carry the same implications of drug use as “intoxicated” does. Willie suffered from an intracerebral hemorrhage, and the incorrect translation prevented doctors from providing timely assistance. The delay in treatment led to Ramirez becoming a quadriplegic. For that failing, the hospital paid $71 million. If you need a translation, never skimp on good translators and translation quality assurance tools. If you are on the other side of the translation process, never neglect constant development and improvement. True, there will be fewer anecdotes about translation blunders then. But all people will be safe, and businesses will avoid senseless losses.